Buying a wedding dress is an important part of the wedding planning process. To make sure you spend wisely, make a specific budget before you set out for the nearest wedding dress boutique. Weddings are expensive, and it can be difficult to decide how to allocate your dollars. You could invest in the perfect venue, splurge on floral arrangements, or spend lavishly on an open bar. For many brides, however, the dress is the most important expenditure of all. 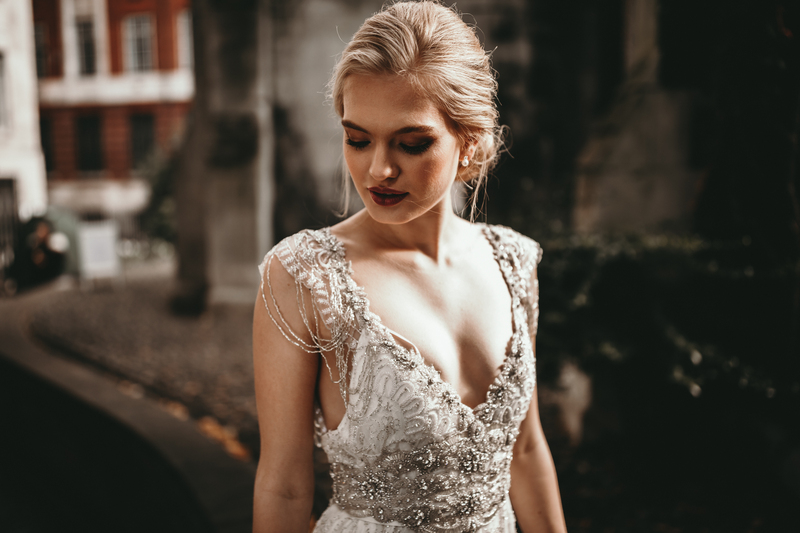 Whether you have an unlimited budget or are planning an inexpensive DIY wedding, it’s important to decide just how much money you’re willing to spend on a dress. It’s a crucial aspect of wedding planning. Talking finances with family members isn’t always pleasant. But when you’re planning a wedding, you have to be clear-eyed about your resources. Figure out who is going to pay for your dress. Perhaps your parents want to make all your bridal fantasies come true. Maybe you’re financing your wedding yourself. Once you’ve settled on a specific budget, you can start to look for dresses in your price range. If you have your heart set on something more expensive, take a look at your overall wedding budget to see if you can reallocate some of your funds. Once you’ve determined how much you’re willing to spend on your wedding dress, consider the extra costs that bridal gowns entail. Once you’ve found the perfect dress, you’ll still need to accessorize. You may need to purchase a veil, shoes, hair ornaments, jewelry, and more. Also, your dress may need alterations, so factor tailoring fees into your dress budget. If you intend to keep your dress as a souvenir, you may want to have it cleaned and placed in storage by a professional dress preservationist. Do the math before spending all of your clothing budget on your gown. You’ve drawn up your budget, done the calculations, and are ready to find the perfect dress. Use online resources and referrals from friends to find a great local bridal boutique. When you go for your appointment, don’t be afraid to tell consultants how much money you’re willing to spend. It will help them narrow down the possibilities and make the shopping experience go smoothly.